WAILUKU — A man who set fire to a rental car in Paia three years ago was given another chance on probation Thursday after he admitted he hadn’t followed through with drug treatment and other court requirements. 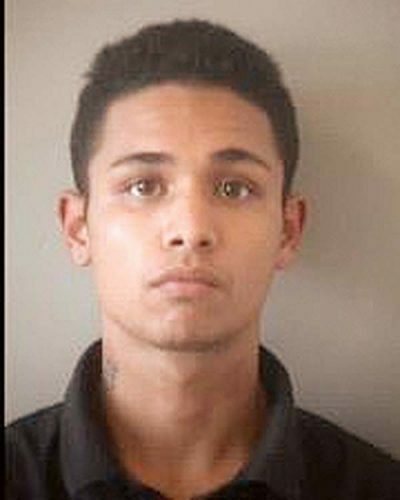 Koa U’u, 25, of Paia was resentenced to four years’ probation. As part of his probation, he was ordered to serve a jail term of one year minus the time he had spent in federal custody before a firearms charge was dismissed Oct. 18. “I’m hoping Koa is closer to becoming the man his father is than the boy he used to be,” defense attorney Jon Apo said, in asking that U’u be placed on probation again. U’u was first placed on probation Nov. 1, 2016, for two counts of second-degree arson, first-degree unauthorized entry into a motor vehicle and two counts of second-degree theft. He and co-defendant Carlos Holguin were arrested after a 2015 Chevrolet Suburban rental car was broken into and set on fire in the Paia municipal parking lot on Baldwin Avenue in the early morning of Aug. 26, 2015. The fire caused an explosion that was heard throughout Paia town and destroyed the vehicle. U’u, who was identified as having set the fire, suffered first-degree burns on his stomach, chest and right arm, according to police. In court Thursday, U’u admitted that he had violated his probation by not completing residential drug treatment when he was discharged for violating program rules. He also admitted he didn’t seek mental health counseling, didn’t report to his probation officer and didn’t tell his probation officer about his arrests for failure to appear, resisting arrest, driving without a license and his federal court case. In the federal case, U’u was indicted April 26 in U.S. District Court in Honolulu on a charge of being a felon in possession of a firearm. The charge stemmed from his arrest Feb. 14, 2017, when the motorcycle he was operating stalled near an early-morning accident scene by Mile Marker 12 on Hana Highway in East Maui. Police noticed the motorcycle didn’t have a license plate and contacted police dispatch, learning U’u didn’t have a driver’s license to operate the motorcycle and was sought on a bench warrant, according to court documents. Police said U’u tried to flee but was taken to the ground and handcuffed while wearing a backpack. After a police officer felt what appeared to be a pistol grip in the backpack, it was seized as evidence until police could obtain a search warrant. Police executed a warrant to search the backpack March 8 and found a .22-caliber pistol that had been reported stolen in a July 2016 burglary in Haiku. The federal indictment against U’u was dismissed after Chief U.S. District Judge J. Michael Seabright granted a defense motion to suppress evidence from the seizure and search of the backpack. The judge found that police “unreasonably delayed obtaining a search warrant for 20 days after the seizure of the backpack,” violating U’u’s constitutional rights. After being released from federal custody, U’u was jailed at the Maui Community Correctional Center. With the prosecution also recommending probation, 2nd Circuit Judge Peter Cahill resentenced U’u to probation. Cahill reminded U’u that he needed to pay $58,000 in restitution for the destroyed vehicle and property that was stolen from it. “You need to step up, even if it’s $10 a week,” Cahill said.